OK, I am gonna be super brutal. Just for a minute, kay? Blogging is hard. It’s friggin’ hard. There is so much more to it than taking pretty photos, playing with make up all day and getting super bonuses all the time. If you’re a blogger you’ll know this. 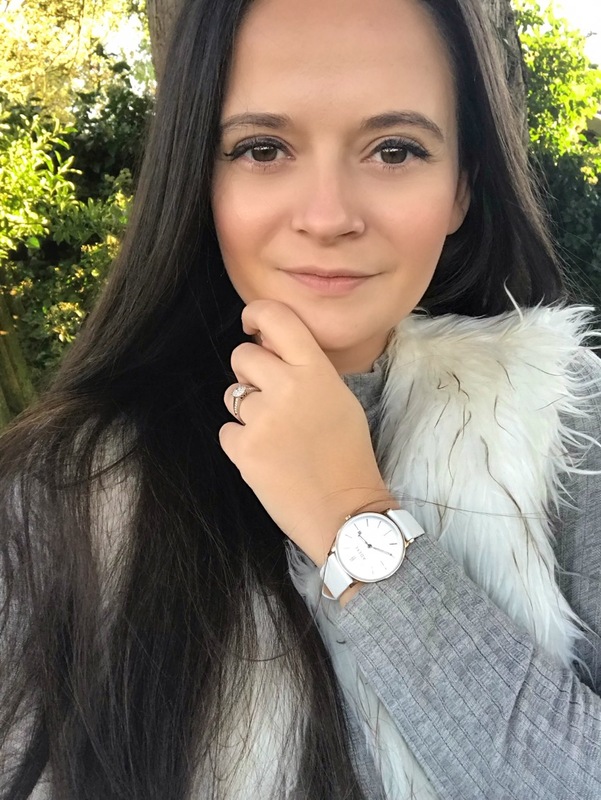 If you’re not, just remember to be a bit kinder and a bit nicer to bloggers – please be patient with us, so many of us have full time jobs and blogging is our side hustle – one that takes up many many hours and lots of meticulous time behind a laptop. So, I am dedicating today’s post to trying to make a bloggers’ life a little easier. Here are my SEO Tips for bloggers! Basically, SEO stands for Search Engine Optimisation. As a blogger it is important to understand how to get your blog seen. SEO is a key part of that. It does what it says on the tin. If your SEO is good, your blog will be more easily visible when searched on search engines. 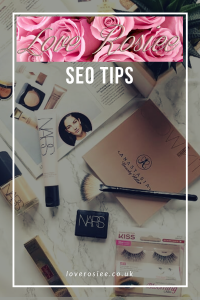 If an organic user wanted to find out about “SEO tips” for example, if my optimisation of this post and my blog as a whole is any good, this post that you’re reading now will be shown quite high up on google. Therefore, more people would see it and visit it and then your blog becomes even more visible. The problem with SEO and google is, it’s changing all the time. 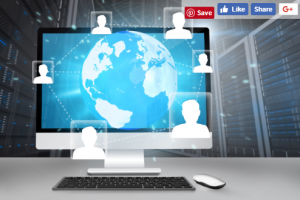 Us as bloggers are constantly on the back foot when it comes to knowing and second guessing what google and other major search engines will need us to do next. We’re just constantly jumping through bizarre hoops in order to hopefully get seen. It can be quite easy to get bogged down and depressed about it all but I am hoping some of my tips will help! Have good content – this sounds ridiculous but it really is still quality over quantity. Imagine you as the user, would you spend ages on a page with sparse content or bad mistakes? Nope, so don’t fall in that trap! Be consistent in what your branding is – In common terms, make sure your blog/page is consistently about one thing. 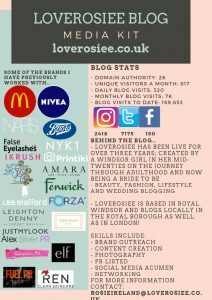 Take LoveRosiee for example, it is a beauty, fashion and lifestyle blog – those are my categories, but whenever you click onto my page you pretty much know what you’re getting. A review based site with the opinions of the author. Key Words – a massive one! With wordpress, you can get many plug ins that help with SEO and when I started blogging three years ago, I realised a plug in is just that. It needs a little more from you as the creator. Key words are EVERYTHING! If you notice, in all of my posts I have an area at the bottom for key words within the post then an area for general key words and then behind the scenes I have these same key words working their way through search engines as soon as a post goes live. As a blogger, there are so many key words you can use to optimise your SEO – that’ll all be in a post coming very soon! Always link to internal pages – a great tip that I was taught early on in my blogging career was to make sure you have at least one internal link in the first paragraph of any post. Sometimes you can’t shoe horn one in without it looking massively out of place but my general rule of thumb would be to add an internal link as soon as the reader is engaged with your page! The most important pages to link to could be your home page, your contact page or any other linked category pages on your blog! This post has got all my juices flowing and I’ve realised I could talk and talk and talk about SEO, so we’re taking a brain break and part two to this post will follow very shortly! This is such a good post and some really good tips! This is such an amazing post my lovely, and I know it’s going to help so many people! SEO can be very confusing sometimes, im glad i have Yoast SEO to help me out! these are some great tips for people who are struggling! These are awesome tips – will definitely be researching more into this! Thanks for the tips! They really helped me out. I’m not the best with stuff like this, haha! Thank you for sharing this post, it is super helpful, I definitely need to work on my SEO.